Every day, 10,000 baby boomers are turning 65 years old, reports the Pew Research Center. Many of these boomers are small business owners, which means that there will likely be a surge of closely held businesses coming onto the market for sale over the next five to 10 years. If you are a Los Angeles or Southern California business owner or entrepreneur planning to exit your company in the relatively near future, this means one thing: You should start planning your business exit strategy now. Ideally, a written business exit plan should be created between three and eight years before the desired exit date. Owners and entrepreneurs who follow this timeline for exit planning, and then diligently follow their exit plan, will be much more likely to maximize the value of their business and obtain the highest possible selling price than those who don’t. 1. If you have other ownership partners or investors, you need to have a well-designed and funded buy-sell agreement in place. Partner disputes during the sale process have derailed many transactions. 2. Have you thought about who your intended buyer will be? If you are highly confident it will be a strategic buyer in your industry, it’s less important that you create a solid management team beyond yourself because that buyer will have its own team. Instead, your focus should be on solidifying customer and vendor relations, results, processes and efficiency. If you think it will be a third-party buyer, have you identified targets and suitors? Here, your management team and staff are crucial, because these buyers will not be able to run the business successfully themselves, and you will most likely be gone — if not immediately, then soon after the sale. The other factors mentioned above remain critical, but the management team is paramount. If you intend to sell to family, current management or your employees through an Employee Stock Ownership Plan (ESOP), your considerations are slightly different. In particular, if financing for the new owners will be required, help them start getting this in place early. The financing will be based on the existing business, and you can help assure your exit by facilitating the process. 3. If you will be selling the business to family members and/or your current management team or employees, you should start identifying and defining their roles now. Do they have the skills, and is the supporting management team and staff in place, to continue to run the business profitably? 4. Have you thought about your vision and goals for the business between now and the time you exit? What sales and EBITDA targets have you set? Are they documented in budgets and forecasts, which prospective buyers will ask to see? Do you envision exiting the business completely, or remaining involved in some capacity? 5. What is your personal strategy after you exit the business? Will you retire and enjoy the fruits of your labor or are there new business challenges you want to take on? Have you addressed your retirement estate planning, income tax and monthly income needs? Your exit planning needs to address the business, your planned method of exit and your individual aspirations. 6. What is your business growth plan? A growing and profitable business is obviously worth more to buyers than a declining business. Nothing appeals more to a buyer than historic and sustainable growth. If your business is stagnant and not growing, you will not maximize the sale price. Focus both on sales and EBITDA growth, and eliminate personal expenses being run through the business. Yes, you may pay a little more in income tax now, but you’ll recover this through a higher sales price multiple later. 7. Is your financial house in order? Make sure all records are up to date, signed and organized, preferably electronically. Make an effort to extend all contracts, leases, loans, etc., if you can do so favorably so the buyer does not come in facing a plethora of expiring agreements. Focus on customer and vendor care — happy and loyal customers and suppliers help ensure success. And make sure that all processes and procedures are updated and documented in order to insure a smooth transition and minimize due diligence issues on the part of buyers. 8. Have you thought about whether or not to sell the building(s) the business operates in, assuming you own them? Alternatively, you could retain ownership of the buildings and lease them back to the new owners. If so, then part of your planning on both a business and a personal level involves knowing the rental market and charging the appropriate rent. Understand that the buyer will adjust your EBITDA for the rent you are not currently paying but they will have to pay after the sale closes. You should analyze the impact to you personally of including the building in the sale and reaping the sales multiple on higher EBITDA at sale, versus a lower sale price but a future rental income stream for you personally. 9. You should have your financial statements reviewed or audited by a CPA firm for at least three years prior to your desired sale date. This will insure credibility in your numbers and reduce the due diligence time required by prospective buyers. 10. Finally, you need to decide when and how you will communicate your exit plan to your employees. Employee communication must be clear, and it should include some indication of bonus or compensation plans based on a successful transaction, as well as the likelihood of future employment opportunities and company goals. Proactive leadership here will help insure success, while keeping employees in the dark creates opportunities for disgruntled staff to impair or derail a successful transaction. One of the most important keys to successful exit planning is hiring an experienced team of multidisciplinary outsourced advisors to evaluate your situation and advise on selecting the right exit process. This includes helping create the exit plan and timeline, monitoring progress, and helping address the many issues that will arise during the transition process, including those you will encounter when you start working with business brokers and/or investment bankers when it’s time to begin the sale process. An outsourced CFO should be an essential part of this team. This professional has been through many similar transactions and can introduce you to other professionals whom you can select for your team. This will allow you to focus on operations while the outsourced CFO assists with many of the challenges and issues to be addressed in the exit plan — especially those involving the financial statements and related analysis. Many of the 10,000 baby boomers who are now retiring every day are small business owners, which means that there will likely be a surge of closely held businesses coming onto the market for sale over the next five to 10 years and competing with you for buyers. So if you want to exit your company in the relatively near future, you should start planning your business exit strategy now. 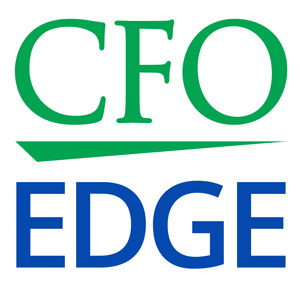 An outsourced CFO services provider can play an integral role in your exit planning process by helping you create a team and execute a written business exit plan. By investing in planning your exit well in advance, you will place yourself above other competing sellers as the best-prepared and most valuable target, and you will be able to maximize the sale price and help ensure a smooth transition process.